On September 30, 1997, in D sseldorf, Germany, an old Jewish man named Emil Weisentrope is shot dead. That same day in Williamsburg, Virginia, Steve Stilwell hangs out his shingle after serving 22 years as a Navy "JAG." Steve's first assignment as a civilian attorney is to update the will of a 70-year-old Auschwitz survivor, Professor Felix Siegel. Accompanying the professor is his beautiful but surly adopted daughter, Michelle. Michelle will inherit, but there's a catch. The first $1.5 million of Siegel's fortune goes to three wartime friends ... if they survive him. If they don't, their shares belong to Michelle. After Professor Siegel's untimely and violent death, Steve begins his search for the beneficiaries, only to learn that two-including Emil Weisentrope-have already died under suspicious circumstances. Although the German police investigating the Weisentrope case are convinced Michelle is behind the killings, Steve needs to be sure. 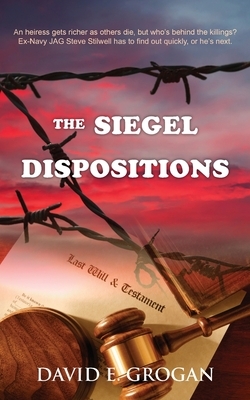 Determined to find the connection between the Siegel dispositions and the murders, he begins a frantic search for answers. His own life and that of the final beneficiary hang in the balance as he struggles to stay ahead of a cold-blooded and elusive killer. The first book in a new mystery series featuring attorney Steve Stilwell.